As America’s first hospice nears its 40th year, the art of comforting the dying continues to evolve. Although Gladys’ hair is white, her skin is youthful, her blue eyes clear and direct. Her voice lilts with a gentle Scottish accent. Gladys was first diagnosed with bladder cancer last year. When it metastasized to her bones four months ago, she decided to stop chemotherapy. In 1974, Connecticut Hospice in Branford became the first Hospice in the United States, and the model for subsequent ones across the country. Hospice care addresses the physical, spiritual, social and emotional needs of patients with advanced irreversible illness, and their families, all while affirming and enhancing life. Although it is best known for the care it gives to dying patients, the extraordinary caregivers are experts in palliative care, providing pain management and symptom control to patients with cancer, congestive heart failure, cardiac disease, Alzheimer’s disease, HIV/AIDS and other serious and chronic illnesses. Patients and family are considered one unit of care; within minutes of admission, the nursing and social-work teams jointly assess the needs of both the patient and the patient’s family. Arts and spiritual-care evaluations follow shortly thereafter. Whether in the 52-bed waterfront facility, or through its home-care program, interdisciplinary teams of physicians, nurses, pharmacists, social workers, music and art therapists and spiritual counselors work together to help patients and families in need. Volunteers of every type are also integral to the daily care at Hospice. All of this support, including bereavement groups, is available to family members after a patient dies. And most remarkably, thanks to private donations, care is given to any person in need – regardless of ability to pay. CEO Rosemary Johnson-Hurzeler has the intensity of someone whose life is consumed by a single purpose. She speaks of every death and admission with urgency— as if it were her first year, rather than her 35th. She is the architect behind many of the inspiring details that pervade the space: imprints of tiny stars in the ceiling tiles for upward facing eyes, and walls that don’t quite reach the ceiling so that sunlight can stream in from every possible source. Every patient room has a view of Long Island Sound and when the weather is warm enough, patient sit in chairs or beds by a walkway that runs along the shore. Rosemary’s tiny dog, Ipsy Pipsy, is her constant companion and works as a pet therapy dog with patients and families. When a young boy died recently, Ipsy played with his young sister on the grassy lawn outside the room while his family grieved. Rosemary tells me that if I must know one thing about Hospice it is this: “Love Matters.” I felt this love with every Hospice staff member and volunteer I speak to, including Director of Arts Katherine Blossom, Ralph Papp, Director of Social Work and Medical Director Dr. Joseph Andrews. But I most fully and poignantly experienced this love in the interviews I was fortunate enough to conduct with Hospice patients as they faced their final days. 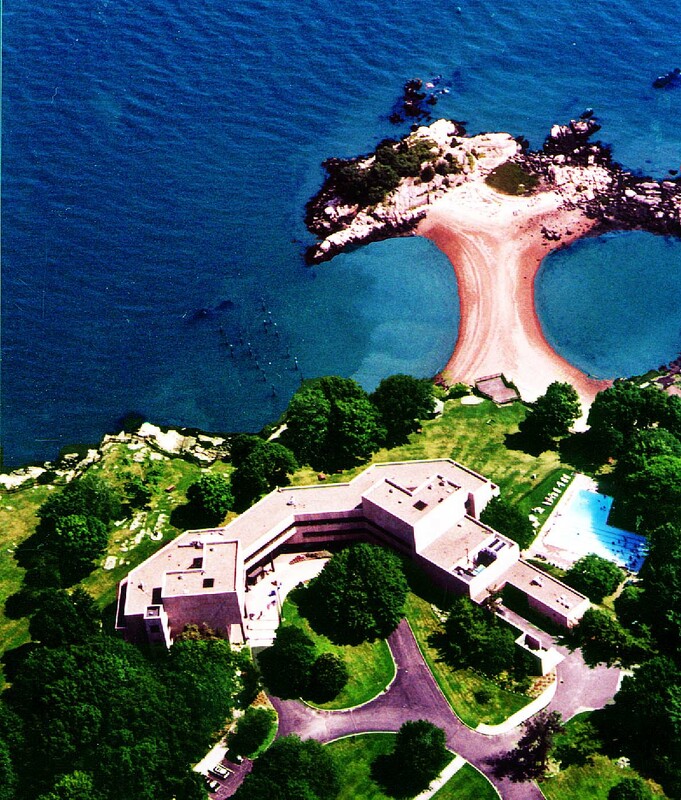 When I arrive at his beachfront house, Dr. Mel Goldstein is at his piano in front of a window facing Long Island Sound. Although Goldstein was diagnosed with multiple myeloma blood cancer 16 years ago, he remained in pretty good health until “everything fell apart” last summer. A number of bad falls and severe pain in his back, spine and shoulders made him feel that his life was “turning upside down.” He was forced to retire from his work as a weatherman on WTNH. He spent time in the hospital. Susan sits in a wheelchair by a fireplace in a common room looking poised, a colorful silk scarf wrapped around her neck. Her hair is neatly arranged and she wears coral lipstick. Her voice is weak and she chooses her words with care, pausing often to rest. Her Hospice oncologist, Dr. Anthony Coscia, arrives laughing and making jokes. He calls Susan “the boss,” and they seem like old friends. She’s been at Hospice three weeks. She stops and closes her eyes. Bluesman and volunteer Dan Stevens appears at the door smiling and strumming his guitar. Susan lights up and says, “This is my favorite guitarist.” Her request: “Joni.” Dan slowly plays the familiar notes of “Both Sides Now.” Susan listens attentively. Because it is holiday time, Dan plays Christmas carols. He “barks” a verse of “Jingle Bells”— we laugh and laugh, then sing the rest of the song together as loudly as we can. Susan harmonizes. She describes the moment she first arrived in her room: “I just broke down. I walked in the room and everybody was like this [she forms her lips into a small gaping circle] ….” Her voice trails off. She exhales heavily. We look at each other for 10 long seconds. Roberta is at Hospice for a week to stabilize her pain. She beams when she tells me about her “life partner,” John, who is, as we speak, turning their dining room into a bedroom where they can sleep together when she returns home the next day (Hospice calls this “To-ing and Fro-ing” and has helped John make the necessary preparations for Roberta’s return home). John and Roberta met seven years ago working “on the line” at Sikorsky. Jonathan lies perfectly still in his bed. The BIPAP machine attached to his nose in no way masks his soulful dark brown eyes, his smile or his charm. In contrast to his stillness, the room is kinetic with electronics- a television, computer monitor, and speakers. Jonathan was diagnosed with muscular dystrophy at birth. He stopped walking at 11. He is 27 years old. Music is his life. Using a computer program, he works as a DJ at every opportunity. Days before we speak, Hospice arranged for him to meet the lead singers of his favorite band 2NE1 at an MTV concert in Times Square. Their music and videos play in Jonathan’s room during our visit. Last spring, muscular pain and anxiety left Jonathan sleepless. He lost the ability to eat. His doctors recommended a tracheotomy and a feeding tube. They resisted giving him more anti-anxiety medication because of the risk of decreasing his breathing function. Around that time, Valerie went out to see a play. She came home and noticed a few chairs out of place— she then saw disc pads on her son’s chest and he confessed that paramedics had been at the house while she was out. He had suffered a severe and terrifying anxiety attack and called 911. He didn’t want to worry her. They knew they could no longer manage without Hospice. Jonathan and Valerie can now speak to a Hospice nurse at any time of the day or night. When he had another bout of anxiety recently, a Hospice team came to their house at midnight. He and his mom no longer fear the risk of pneumonia that comes with winter trips to doctors’ offices. His Hospice doctors and nurses come to him. His pain and his anxiety are now under control. Valerie says, “The last three nights he’s actually slept.” With the support and understanding of the Hospice team, she and Jonathan are trying to make peace with the future. The sky is overcast on the morning of my final interview and a slow steady rain falls. It is two days before Christmas and I dread my meeting: A 16-month-old baby and her parents. As I drive toward Bridgeport, the sky becomes lighter, brighter. By the time I arrive, it is blue. Soozi Flanigan, director of Hospice, waits outside the long line of brick apartments. She flashes a quick mischievous smile when she greets me. She has accompanied me on the visits I have made to patients outside the Branford facility. Like everyone I’ve met who works there, she is passionately devoted to Hospice. She told me once that she had to do what she calls “soul work” before she came to work there. We walk past the neat yard enclosed by a wire fence and enter a canary-yellow kitchen. Ernest and Anatalia are from St. Lucia—they great me warmly, quietly. Their daughter Anatali has a chromosomal disorder called Trisomy E. At 16 months, she weighs just 14 pounds and has significant physical and developmental delays. Five to 10 percent of children with Trisomy E don’t live beyond one year. It is something of a miracle that she is alive. Home-care nurse Kim first visited Anatalia when she came home from the hospital after her daughter’s birth. But to Anatalia, “Hospice” meant “death,” she says, she couldn’t face losing her child. I think of the Hospice credo of making the most of life for as long as life lasts. And in that moment there is only life. And love.